top end furnishings in every room. We believe Club Cottage in Burnham Green near Welwyn Garden City to have the most exclusive postcode in the UK for Park & Leisure Homes. This superb location is set in acres of Hertfordshire woodland, yet only 19 minutes by train to London’s Kings Cross train station. Our new leisure homes are all bespoke & come fully furnished, carpeted and equipped with washing machines, dishwashers and microwaves. Each lodge has a spacious decking area to enjoy the array of wildlife that surrounds the park and prices start from £250,000. Tom Hartley offer a wide range of luxury lodges for sale on our award winning parks. 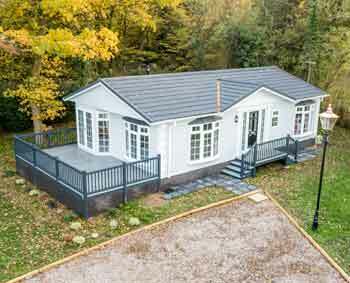 Lodge ownership is ideal for your retirement, semi-retirement or choose a lifestyle of having a leisure home, second home or even home from home. We have property in Spain but needed a home here to stay when we visited family and friends without imposing on them. We found our dream place at Swainswood Park and we were fortunate to purchase a leisure home from yourself. 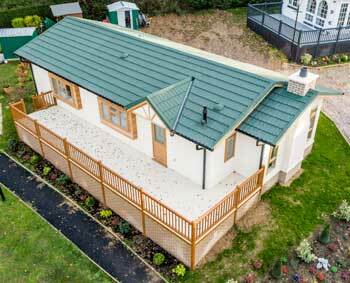 Our new leisure home is excellent with the site having views over the National Forest Park, is very quiet, private and secure with the maintenance kept to a very high standard. Thank you Mr.T Hartley for our perfect home. I give consent for Tom Hartley Park Homes to process, collect and store my data from this form in a secure and protected manner which is GDPR compliant. I understand that I have the right to withdraw it any time. 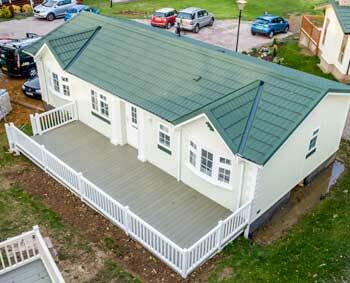 We offer some of the most luxurious lodges you can buy on our award winning parks in the UK. Tom Hartley is the name renowned in two businesses, firstly, Luxury and Performance Cars which was founded by himself in the early 1970’s. It is a business that is respected and revered globally for more than four decades and is now co-owned together with his son, Carl. The second business renowned with the Tom Hartley name also founded by himself, is in the Park and Leisure Homes Sector, another division that is respected and revered nationally. This was founded in the early 1980’s and now has award winning parks in Surrey, Warwickshire, Derbyshire, Leicestershire, Staffordshire and Hertfordshire whilst continuing to expand into other counties. Customer satisfaction, quality and service are what we pride ourselves on, continously achieving only one standard – the highest and we have a track record and a profile that supports this statement and our reputation. We have been awarded 5 stars from the English Tourism Council. We offer a choice in award winning parks through out the UK, which are ideal for your retirement or semi-retirement or choose a lifestyle of having a leisure home, second home, home from home.